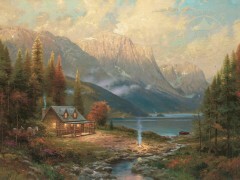 At our Thomas Kinkade Signature galleries in the Monterey Bay area, we offer the exciting opportunity to examine the different emotions textured Kinkade paintings can create with our Brushworks Collection. 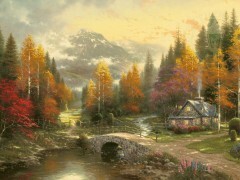 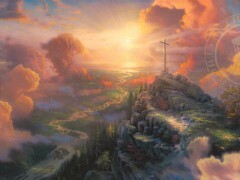 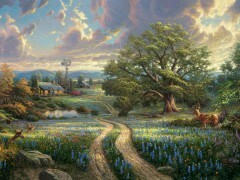 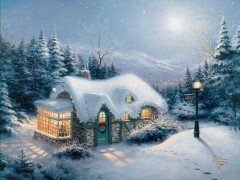 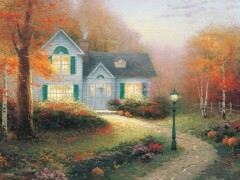 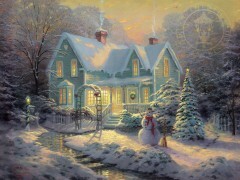 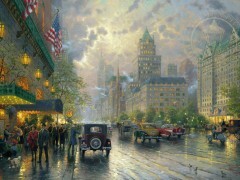 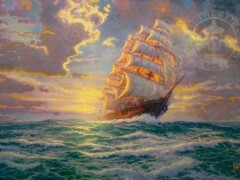 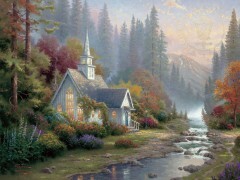 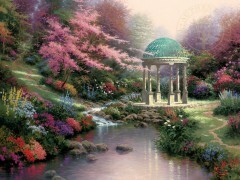 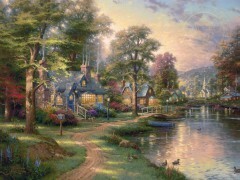 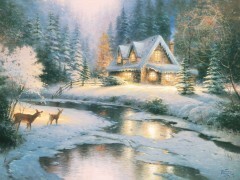 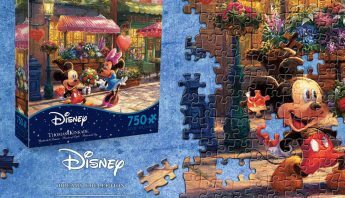 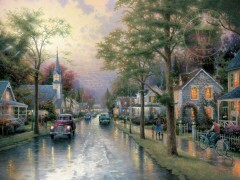 Imagine being able to see the painterly strokes involved in bringing a favorite Thomas Kinkade piece to life. 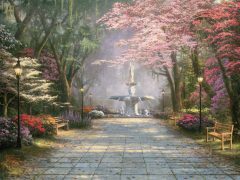 The broad sweeping gestures and fine, delicate movements that bring depth and energy to each painting are carefully captured in this collection. 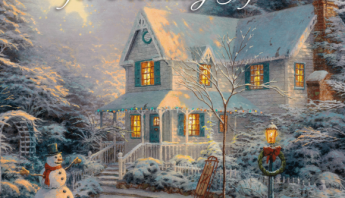 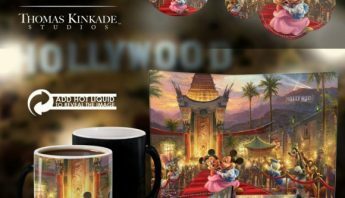 As a fan of Thomas Kinkade artwork, you will enjoy seeing how each Brushworks Collection piece seems to jump off the canvas. 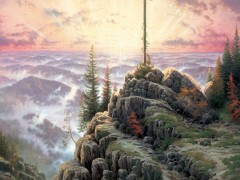 The imprints left by an artist’s brush in the paint create hills, valleys, sharp edges and soft curves to entertain your eye and tickle your emotions. 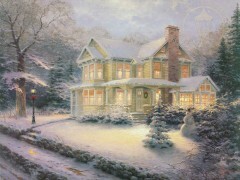 Trees reach out with prickly snow-covered needles, crisp glowing autumn foliage or vibrant bunches of soft pink leaves. 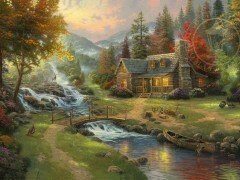 Dapples and ripples on the surface of the water hint at the gleam and flow of a lazy winter stream. 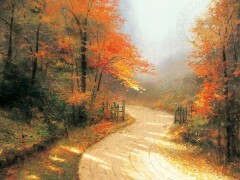 Tufts of grass almost beg to be touched. 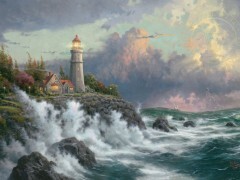 Sprays of furious ocean waves seem to beat furiously and ricochet off of a lighthouse-guarded cliff. 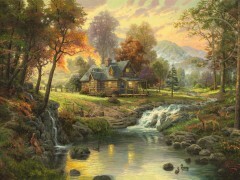 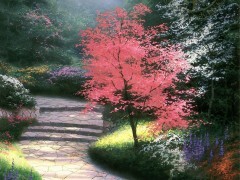 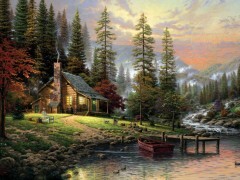 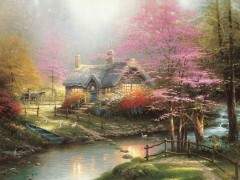 These textured Kinkade paintings of nature encourage a close look and time to reflect. 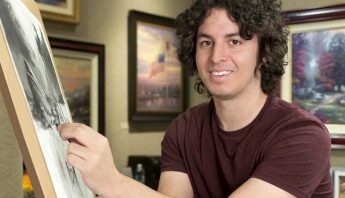 Each carefully crafted Brushwork Collection piece is complemented by a beautiful frame in Burl, Antique Gold, or Brandy hues. 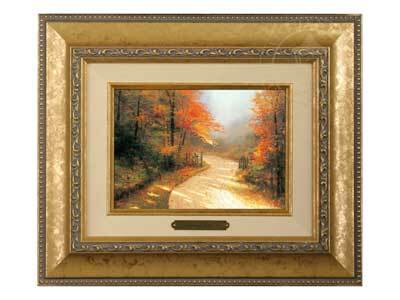 This creates a complete and classy-looking framed textured painting ready to showcase or give for any occasion. 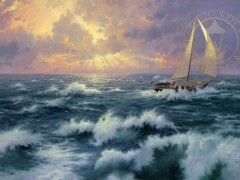 Give the gift of emotion with each hand textured piece of art. 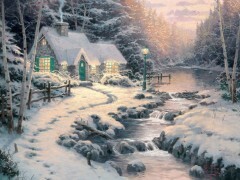 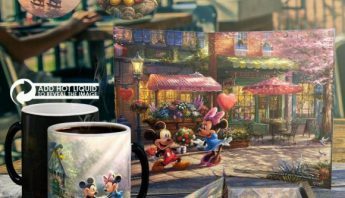 Come appreciate the subtle details of textured Thomas Kinkade art. 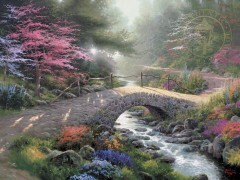 See the actual artist brushstrokes in each Brushwork Collection painting. 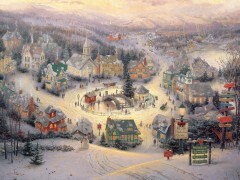 Our friendly professional Art Consultants can lead you to pieces that will delight you and be treasured by everyone on your shopping list. 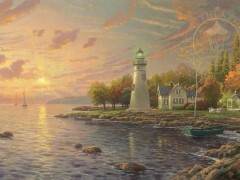 Stop by one of our Monterey Bay area galleries today.